Death Of Chris Cornell, Powerhouse Voice Of Soundgarden, Ruled A Suicide : The Two-Way A medical examiner has determined the cause of Cornell's death Wednesday night to be suicide by hanging. The powerhouse frontman helped forge not just a distinctive sound, but an entire genre. In 2012, King Animal was Soundgarden's first studio album in 15 years. Lead singer Chris Cornell died Wednesday night in Detroit. A representative said the 52-year-old's death was "sudden and unexpected." Chris Cornell, the unmistakable voice and frontman of the bands Soundgarden and Audioslave, died overnight in Detroit at the age of 52. He was discovered just past midnight at the MGM Grand Detroit, according to police. The office of the Wayne County Medical Examiner on Thursday determined the cause of his death to be suicide by hanging, noting that a full autopsy has yet to be completed. "His wife Vicky and family were shocked to learn of his sudden and unexpected passing, and they will be working closely with the medical examiner to determine the cause," Brian Bumbery, Cornell's representative, says in a statement. "They would like to thank his fans for their continuous love and loyalty and ask that their privacy be respected at this time." Cornell played a seminal role in the origins of grunge music, founding Soundgarden in 1984 with Kim Thayil and Hiro Yamamoto. Together with other Seattle natives Nirvana, Pearl Jam and Alice in Chains, the band — and Cornell's voice — would go on to define a sound that cherry-picked elements of punk and metal and distorted them into a distinctive brew all their own. At Soundgarden's peak of popularity in the mid-1990s, the band's album Superunknown earned a Billboard No. 1 debut and a Grammy nomination for best rock record. After the band broke up in 1997, Cornell pursued a solo career — though only for a few years. By 2001, he had helped found the supergroup Audioslave with several members of Rage Against the Machine. Audioslave released three albums before disbanding in 2007, as well. 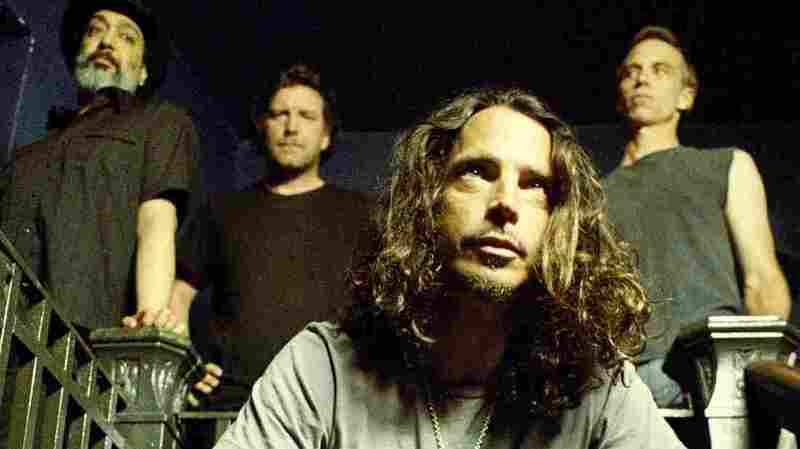 In 2012, Soundgarden returned with its first studio album in about a decade and a half — a fact NPR's Rachel Martin mentioned in a 2015 interview with Cornell, shortly after he had just released a new solo album. Rachel asked him: Do you need both the band and the solo work to make you whole as an artist? "I would live without both parts. But it's a lot more satisfying to have them. It's great to still be having new experiences with the same group of guys — because we invented a band together, and kind of co-invented a genre of music. Being able to come back and experience being a band together at a different time in our lives has been really rewarding, but it's also just really nice to still share some part of my life with these people that have been so important to it.' "
Cornell had been on tour in Detroit at the time of his death.